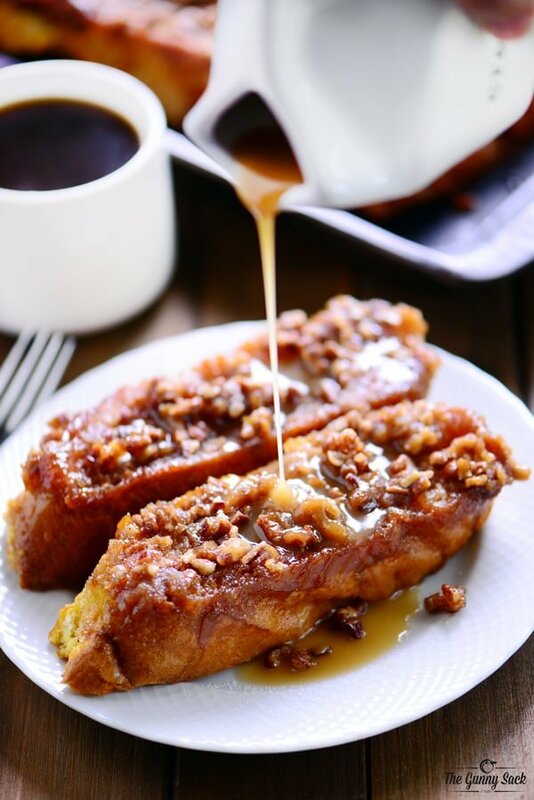 This Pumpkin Caramel Pecan Baked French Toast recipe is irresistibly good and is perfect for serving to overnight guests or at a holiday brunch! What is it about breakfast foods that makes them so good? Is it that you are “breaking the fast” and pretty much anything will taste good? I don’t think so because I love eating breakfast foods any time of the day. I must not be the only one because I heard that a well known fast food place is going to start offering their breakfast all day. If I have one issue with breakfast foods, it’s that many of the take a lot of time or attention when cooking for a family. Things like omelets, pancakes and French toast have to be cooked individually while you stand by keeping an eye on them. So, sometimes I skip those things and make breakfast recipes like Ham and Potato Breakfast Casserole, Bacon and Cheese Quiche and Hashbrown Crust Breakfast Pizza. 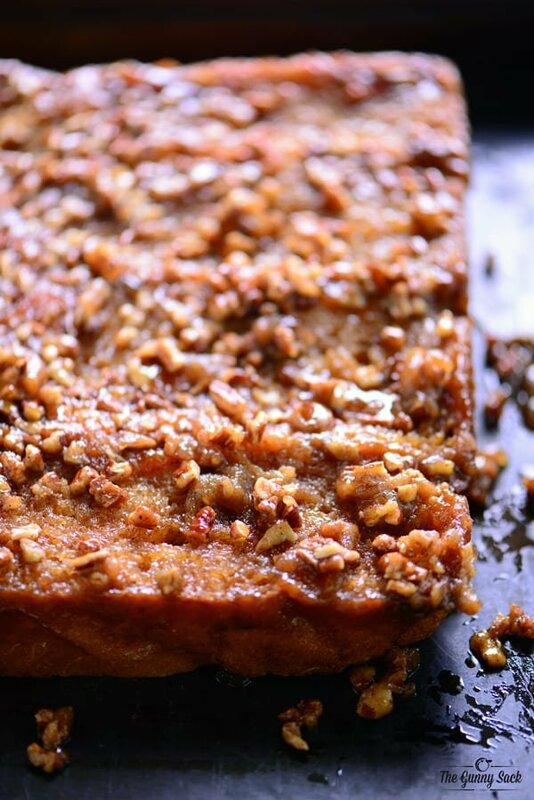 And now I have a new favorite…this Pumpkin Caramel Pecan Baked French Toast! Stir brown sugar, chopped pecans, and pumpkin pie spice into melted butter. Spread into a greased 9×13 in pan. 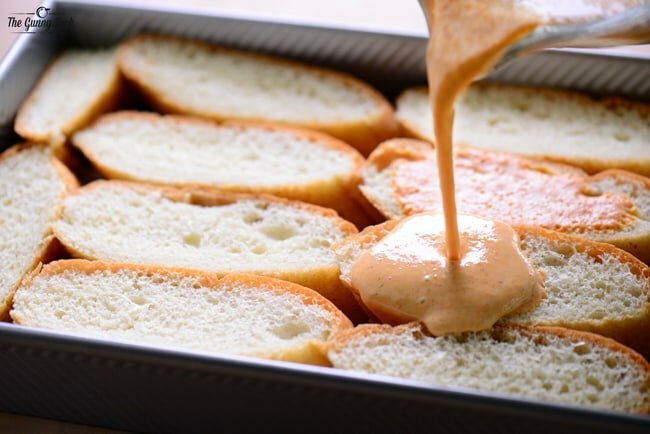 Line the pan with 1 1/2-inch thick slices of French bread cut at a diagonal. Beat the eggs, half-n-half, pumpkin puree (I used Libby’s canned pumpkin) until smooth. Slowly pour the mixture over the French bread slices in the pan. Cover the pan and place in the fridge for at least one hour or overnight. Bake uncovered at 375 degrees for 35-40 minutes. Remove from the oven and flip the pan over onto a rimmed baking sheet so that the caramel pecan bottom is now the caramel pecan top! Serve with a dusting of powdered sugar and warm maple syrup. 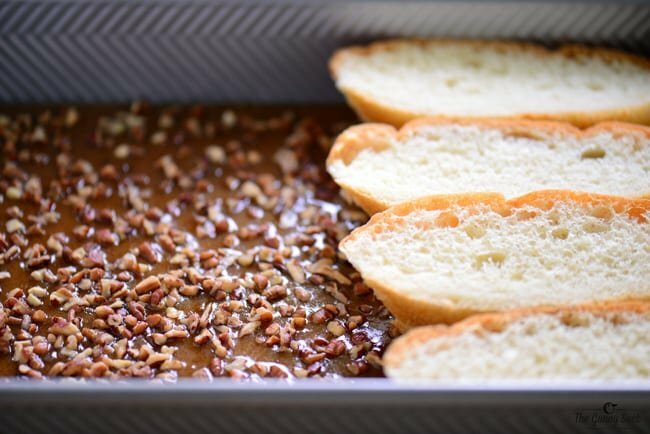 This Pumpkin Caramel Pecan Baked French Toast is a fantastic way to start the day! Try making it during the holidays for overnight guests or serve it at a holiday brunch. And if you are like me, you might even make it for dinner one night. Stir brown sugar, chopped pecans and pumpkin pie spice into melted butter. Spread into a greased 9×13-inch pan. Line the pan with 1 1/2-inch thick slices of French bread cut at a diagonal. 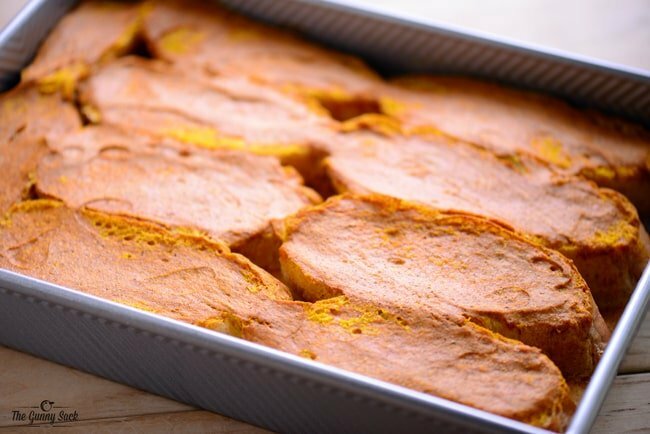 Beat the eggs, half-n-half, pumpkin puree until smooth. Slowly pour the mixture over the French bread slices in the pan. Cover the pan and place in the fridge for at least one hour (or overnight). Just made this. The bread was still soggy and hadn’t absorbed as much of eggs as is typical. The caramel bottom is also very loose and not sticking to bread. Cooked extra 10 minutes and still very loose. Looks unappetizing and texture/taste same. Wondering how the photo looks so crisp? Hmmm…I’m not sure what happened there! French toast bake isn’t supposed to be crisp like monkey bread would be, but the caramel part did get…well…carmelized. Maybe my bread was drier? This didn’t quite work for me. Much of the pecan layer stuck to the pan and then it became hard once it cooled. The egg mix also seemed a little thick. After 4 hours, it still had not absorbed as much as it probably should have. It basically tasted good, but it was a notch below great. I think I found me weekend brunch! pinning! Can you make this the night before, making for a bridal brunch. QUESTION, IN THE RECIPE IT SAYS TO PUT THE SPICE IN THE BUTTER, THEN LATER IT SAYS TO PUT IT IN THE MIX WITH THE EGGS, DO YOU DIVIDE THE SPICE OR IS IT TO BE DOUBLE AMOUNT. I DONT EAT THIS, MAKING IT FOR SOMEONE ELSE. Hi Sandy! How nice of you to make this for someone! You put the spice in with the butter mixture. I’ve updated the wording of the recipe. Thanks! Can this be frozen before it’s baked? This was amazing!!! Such a hit at my Christmas brunch 🙂 Thanks for sharing this awesome recipe! Hi! Just wondering what size can of pumpkin puree. Making this tonight for Thanksgiving breakfast tomorrow! I made this last night for this morning’s breakfast – soaked it all night. Obviously, the pecan layer was amazing (how could it not be?) … but I didn’t feel like there was much pumpkin flavoring to it. I used Libby’s pumpkin; and even used a little extra pumpkin pie spice (Penzey’s spice). Thoughts on what I might have done wrong? Thank you Kelli! It really is a delicious breakfast! This is the breakfast of my dreams!! I love that you added caramel! Pinning! I can’t wait to find an excuse to make this! Me too! I usually have very boring breakfasts! Thanks Mariah! What a gorgeous breakfast! LOVE all these flavors! Thanks Trish! So many yummy things all in one dish! 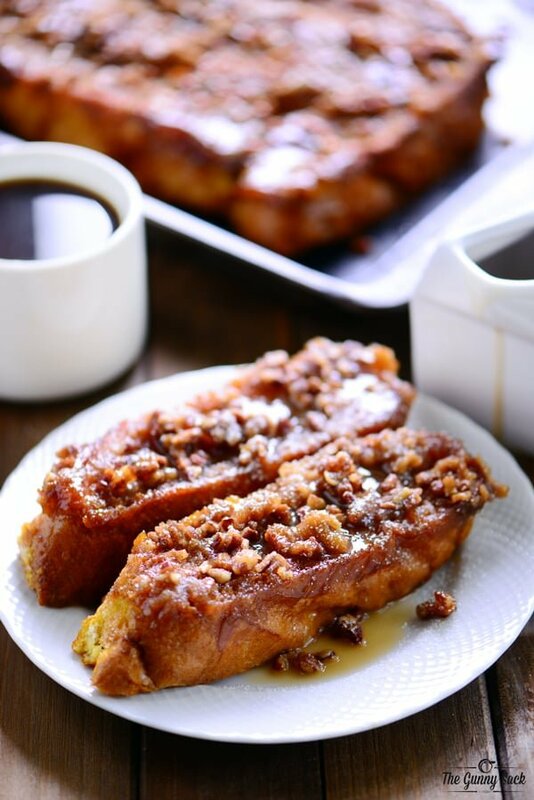 I’m eating oatmeal and sipping on tea for breakfast…wishing I had some of your fabulous pumpkin french toast! LOL! I know! We didn’t have any leftovers and I’m wishing I could have this for my breakfast too. Thanks Maryanne! 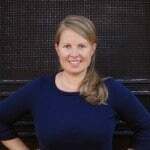 Tonia, this french toast is totally putting my current plain oatmeal to shame! Oh my gosh, I’m so hungry! LOL! That’s the way it goes, I’m sure your breakfast is much healthier than this one! Thank you Beth! Oh my goodness, this looks sooooooo delicious!! Thanks so much Kimberly! We sure enjoyed it! This looks so good! 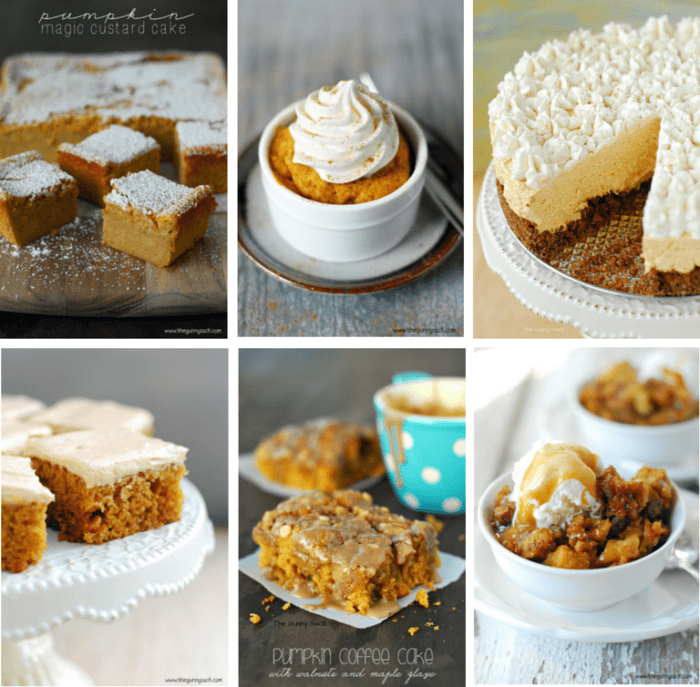 LOVE the use of pumpkin and caramel and sorta wish I could have this for breakfast tomorrow…..yum! Thanks so much! Pumpkin and caramel taste so great together! That pecan topping looks absolutely unreal! Thanks Melanie! I just LOVE pecans! Love that caramel pecan layer! What a decadent french toast bake! These look INSANE!! Can’t wait to try these! Thanks Becky! It’s perfect for a special occasion! Not a fan of pumpkin…I’m sorry! 🙂 This might be a way to help you break the ice! Thanks Kacey!